BETWEEN THE LINES, based in Livonia, Mich., debuted its new wedding website, Beyond The Ultimate LGBT Wedding & Anniversary Expo, in preparation for its wedding expo on March 26, 2017. The site is available at www.MILGBTWedding.com. CAMP KANSAS CITY, based in Kansas City, Mo., entered its 14th year of publication with its February 2017 issue. THE FIGHT, based in Los Angeles, celebrated its sixth anniversary with its February 2017 issue. GET OUT, based in Queens, N.Y., published its 300th issue on January 25, 2017. GOGUIDE MAGAZINE and the Iowa City Pride Committee have agreed on a partnership that will have the magazine print the official local pride guide. In turn, the magazine will donate a portion of the sales of every advertising and sponsorship package sold to the pride committee. GOLIATH, based in Atlanta, entered its third year of publication with its February 2017 issue. HOT SPOTS, based in Oakland Park, Fla., published a “special souvenir” issue on January 26, 2017, celebrating the Obama presidency. It featured a cover photo with the headline “Thank you, Mr. President: A Tribute to America’s First ‘Equality’ President” as well as an open letter to Obama from publisher PETER CLARK and general manager PETER JACKSON. 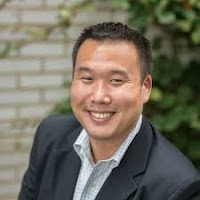 SHIN INOUYE has been named director of communications and media relations at the Washington, D.C.-based Leadership Conference on Civil Rights and Human Rights and The Leadership Conference Education Fund. He was the director of specialty media in the Obama White House Office of Communications from 2009-2014, which included acting as communications officer for LGBT media. LETTERS FROM CAMP REHOBOTH, based in Rehoboth Beach, Del., entered its 27th year of publication with its February 3, 2017, issue. THE MIRROR, based in Wilton Manors, Fla., entered its sixth year of publication with its January 2017 issue. OUTSMART, based in Houston, entered its 24th year of publication with its February 2017 issue. PALETTE, based in Miami and published by the MIAMI HERALD, announced that it will now feature the Miami-Dade Gay and Lesbian Chamber of Commerce’s CLARITY BUSINESS MAGAZINE. The first issue to feature the magazine in its entirety was the February/March 2017 issue. April/May and August/September will also include the magazine in its entirety. Other issues will feature several pages of content. PHILADELPHIA GAY NEWS and DVLF, an LGBT grant-making organization, collaborated on the inaugural “Skate Pride Love” networking and social event, held the day before Valentine’s Day. PINK TRIANGLE PRESS, Canada’s leading LGBT media group, announced the appointment of DAVID WALBERG as its executive director effective April 3, 2017. Walberg will lead a team of 55 staff in Toronto, Montreal, Ottawa and Vancouver. Walberg has worked at the organization for more than 25 years and is currently its digital chief executive. The media group produces LGBT journalism at DailyXtra.com and through a variety of content distribution relationships in Canada and abroad. THE RAINBOW TIMES, based in Boston, celebrated its 10th anniversary with its February 2, 2017, issue, marking the date of its first print issue. JAKE STEVENS celebrated his 10th anniversary as art director for WATERMARK, based in Orlando, Fla.
CHRISTOPHER “CHANCE” TAFFER, a photographer and former staffer at Wilton Manors, Fla.-based SFGN, as well as its predecessor EXPRESS GAY NEWS, died on January 23, 2017. He was 47. TAGG, based in Washington, D.C., entered its sixth year of publication with its January/February 2017 issue. 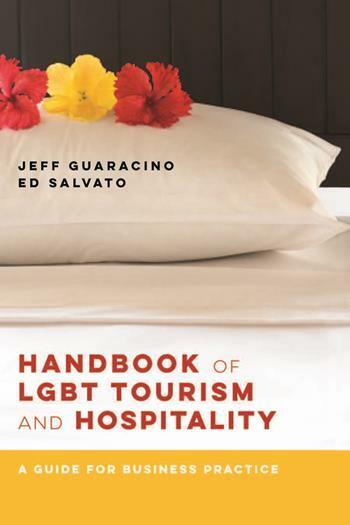 The newly published “Handbook of LGBT Tourism and Hospitality: A Guide for Business Practice,” authored by LGBT travel experts Jeff Guaracino and Ed Salvato, showcases emerging trends amongst LGBT travelers. The handbook, which features interviews with nearly a hundred industry experts, is designed to help marketing professionals, business owners, and tourism and hospitality professionals compete in an increasingly competitive global LGBT travel and hospitality industry. LGBT travel is big business. Out Now Consulting, based in the Netherlands, predicted that the global potential value of the LGBT leisure travel market in 2015 would reach a record $200 billion. Of that total, LGBT travelers from the United States spent $52.3 billion per year. According to Community Marketing and Insights, a San Francisco-based research and marketing firm, many LGBT people like to travel as part of their cultural identity. Although LGBT people make up only between 3 percent to 6 percent of the adult population, surveys show that they travel nearly twice as much as the average American. Merryn Johns, the editor of Curve, a lesbian magazine which reaches 250,000 women via each print issue, advises that imagery and language are very important when it comes to targeting lesbian consumers. In addition, many lesbians are anti-consumerist and bring their political beliefs and concerns to all aspects of their lives. Johns says the most important guideline is simple: talk to lesbian consumers, not about them or at them. The meeting ground for LGBT people has shifted from the bar to the mobile phone, according to Alan Beck, an LGBT tourism and hospitality media expert specializing in advertising, sales, and publishing. As a result, LGBT-owned businesses like bars and clubs have lost revenue. Lost revenues affect gay bars' ability to advertise. New advertisers are casinos, the car industry, and the retail industry. The book also explores the changing media landscape, including the evolution of LGBT media. LGBT-specific media are not dying or completely dissolving into mainstream media. In fact, LGBT-specific content is expanding in new ways, presenting new opportunities for marketers and media buyers. Some of these include Passport magazine, one of several luxury LGBT travel print publications. Passport also features an online version and a mobile version, and it sponsors a consumer expo. Another example is Q. Digital which publishes Gay Cities, an online consumer-sourced travel guide. "Handbook of LGBT Tourism and Hospitality” is published by Harrington Park Press. For more information, go to www.harringtonparkpress.com. The Washington Blade, based in the nation’s capital, announced plans to launch a new sister publication, the Los Angeles Blade, on March 24. 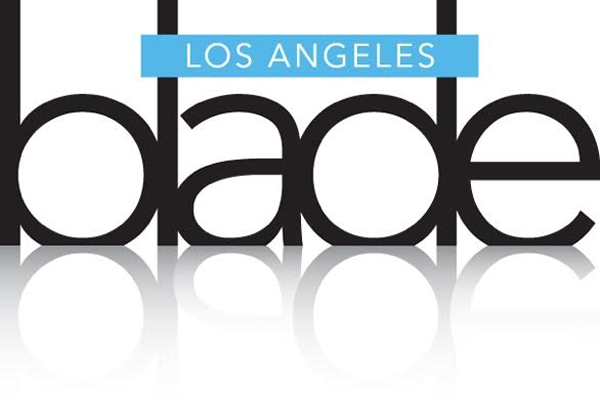 The Los Angeles Blade will cover Los Angeles and California news, politics, opinion, arts and entertainment and will feature national and international coverage from the Washington Blade’s reporting team. Troy Masters, a veteran of LGBT media, will serve as publisher and editor of the new venture. Veteran Los Angeles journalist Karen Ocamb was named senior contributing writer. Masters founded Lesbian and Gay New York, or LGNY, in 1989. It was relaunched as Gay City News in 2002. 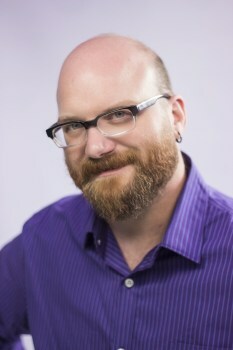 He departed Gay City News in 2015, where he worked as associate publisher, to relocate to Los Angeles and launch The Pride L.A.
“We believe the L.A. market is underserved and deserves an LGBT-owned publication that serves the community with quality journalism,” said Washington Blade editor Kevin Naff, who will serve as national editor of the Los Angeles Blade. Naff said there are no plans to bring the Blade to more locations. “This was a one-off, unique opportunity in the country's second-largest market and we are not expanding to other cities,” Naff added. The first edition of 20,000 copies will be available March 24 at Los Angeles bars, restaurants, gyms and other locations popular with LGBT Angelenos. It will begin on a bi-weekly schedule with plans to publish weekly in the near future. The web site is www.losangelesblade.com. In other Blade news, the newspaper announced that it is launching a Latin American reporting project. International News Editor Michael K. Lavers is slated to travel throughout Latin American over the next year to report on the state of LGBT people throughout the region. Lavers was already sent to Guatemala, El Salvador and Honduras, with additional trips planned to Cuba, Colombia and Chile. According to the Blade, Lavers will interview LGBT activists, politicians, and candidates while also reporting on anti-LGBT violence and discrimination in the region. PPQ: What feature or features of Boston Spirit have been the most popular with readers? Publisher David Zimmerman: Each year for our Pride issue, we have a feature called “Let Us Introduce You.” In the feature, we profile about 15 people, both LGBT and ally, who are doing great things in the community. It is different than most lists because it is not a “power list.” ... Most of the people we profile are not well known. In addition to the magazine, our events are very popular. We have an LGBT Executive Networking Night each spring. This year we have Kathy Griffin speaking at the event and we anticipate more than 1,500 attendees. Our Summer Sunset Cruise also gets about 700 people each June. Zimmerman: I came up with the name. I looked up the word "pride" in a thesaurus and “spirit” was one of the words that came up. I liked it, it is positive, uplifting. So we became Boston Spirit Magazine. Zimmerman: The biggest obstacle was that the economy crashed shortly after we launched. That was devastating. I was also an unknown in the community, so establishing a reputation for myself and the magazine took a while. There were two established LGBT publications in the city when Boston Spirit launched. We were the new guy in town and had to build ourselves up from nothing. That was tough. ... There is a reason why so many new publications go out of business within two years. PPQ: What challenge or challenges is Boston Spirit facing now? Zimmerman: The biggest challenge, in my mind, is continuing to improve the quality of the magazine and our events every day. Coming up with new and exciting ideas, new features, and new events. If things get stale they start to whither away. ... That scares me. We work very hard on staying relevant. The other challenges are more in line with what all media face these days — more options for advertisers and competing for market share. Zimmerman: We have gotten smarter about what our readers want. Our editorial is much more focused and our events are much better. When we started we tried to do too much with events and we learned — quickly — that having fewer, but more successful, events is much better than having more events that aren't as successful. There is nothing worse than having an event that doesn't do well. It reflects very poorly on the magazine and is not a good selling point for potential advertisers. Zimmerman: I'd like to be a more regional publication. Right now most of our subscribers are from Massachusetts. I'd love to have more subscribers from the other five New England states. PPQ: What has been the biggest news story or stories Boston Spirit has covered? Zimmerman: We did a story a few years ago when Mitt Romney was running for president. The story was about a meeting Romney had with LGBT couples when he was governor of Massachusetts. We interviewed several couples that were in the meeting. The story exploded! It got picked up by a ton of websites across the country and even wound up on Obama's campaign website. Zimmerman: Not really. We definitely have our moments but we do not cover a lot of politics. In our January issue this year, we had a great feature written for us by former Congressman Barney Frank, but for the most part our content is a bit lighter in nature. The arts, travel, local movers and shakers. We cover activists in the magazine and there is an activist part of what we do, but I don't think it is our overriding theme. Zimmerman: I had a reader tell me he met his husband through the magazine. His husband was on a cover of the magazine and they met at a party. Apparently they started discussing the cover and one thing led to another. Zimmerman: Be very patient and very focused. If you think you will reach your goal in one year, chances are you won't. You will make mistakes — embrace them and learn from them. Be very focused on exactly what you want your publication to be. For example, Boston Spirit is published every other month, that means there are a lot of stories we can't cover. We need to recognize that and to remain focused on what we can cover. Also, be honest with yourself and make sure you have a complete understanding of your media market — and you competition — before you launch.